In 1905 Warrensburg's industry justified the building of a 3-mile spur from Thurman Station. Dr. Michael Kudish, author of Where Did the Tracks Go: Following Railroad Grades in the Adirondacks and a number of other books about the history of the railroad in New York State, traced the story of the railroad in the area. 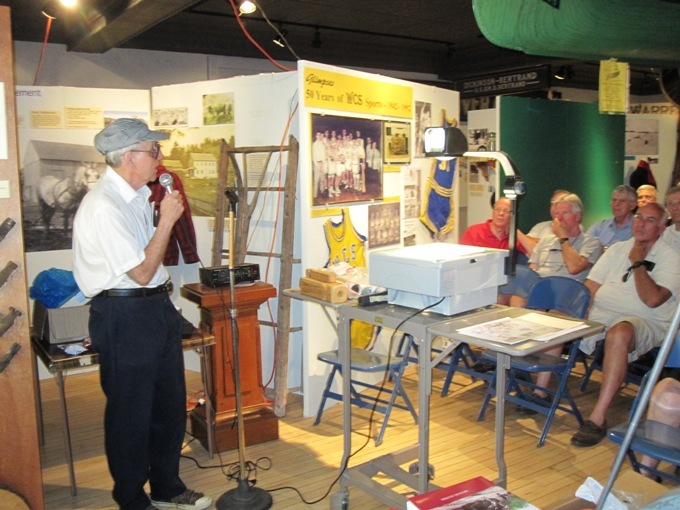 An enthusiastic group of nearly 60, including many who worked in local mills and factories, gathered on January 24, 2010, to share memories of Warrensburg. Museum director Steve Parisi led the discussion.